Want to help change the world by connecting with other students at your High School? AI Canada has a strong and well supported youth and student program. A large number of our current leaders within AI Canada first started working on human rights issues they cared about as members of one of our student or youth groups. 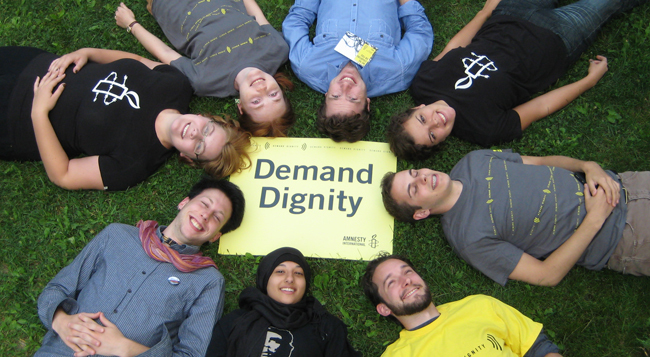 Become an Amnesty Youth Activist! Register your student or youth group today!! !